Ciao, nice to meet you! 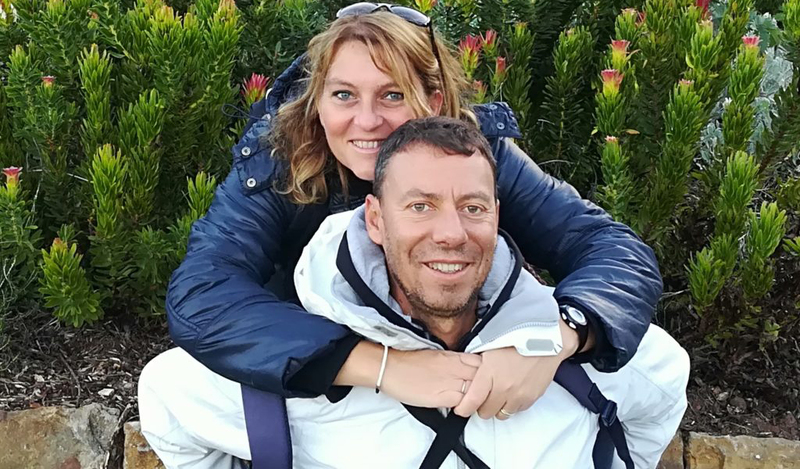 We are Valentina and Daniele, owners of Tasting Italy Tours and Weddings, a licensed tour operator and wedding planner based in Florence, Tuscany (auth#54140 issued by Florence Tourism Authority). Our business was founded in 2004, but we have been operating in the tourism and wedding industry for more than 25 years. We are enthusiastic, dedicated and knowledgeable professionals who are passionate about travelling, meeting people from all around the world and of course…. about our beautiful country! Tasting Italy is a proudly independent, family-run business, which means we are directly involved both in planning and operating. This ensures high quality services and personal attention, before and during every Italian experience. We organize tailor made tours that provide visitors with a long lasting cultural experience: our itineraries are designed to give a taste of the real Italy! We are also a trusted and experienced guide to couples who wish to get married or renew their wedding vows in one of the most romantic countries in the world, Italy. We organize weddings valid at legal effects, as well as symbolic ceremonies, taking the utmost care of all the details. For those who simply want to relax, we have a wide range of carefully selected hotels, villas and ‘agriturismo’ getaways on offer. Escape the winter cold in a cosy Tuscan style country hotel, breath in the history of Rome in an apartment right in the city centre, indulge your inner romantic in a luxury Villa of the Amalfi Coast or in an historic mansion in Venice. Please do not hesitate to contact us, we look forward to sharing more information with you. Arrivederci, see you soon in Italy!